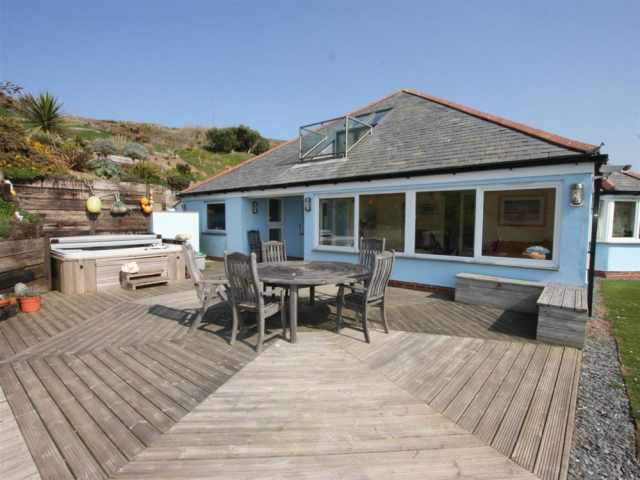 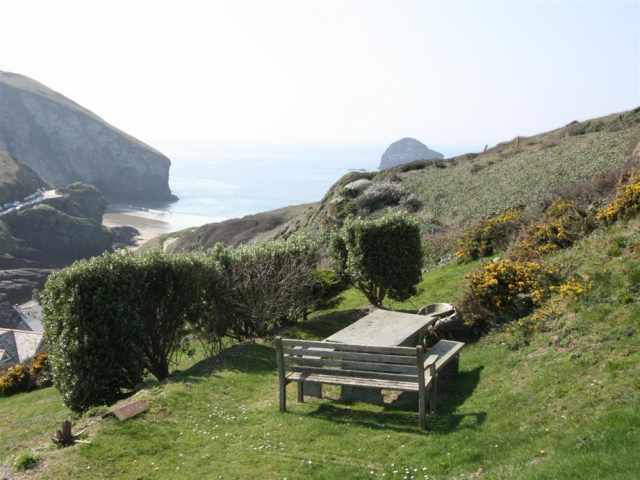 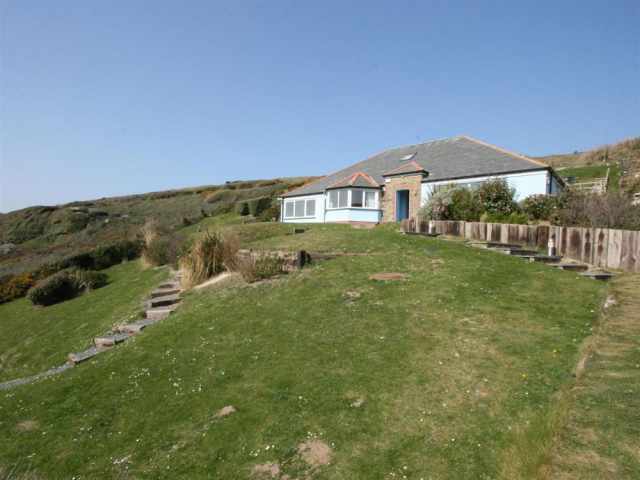 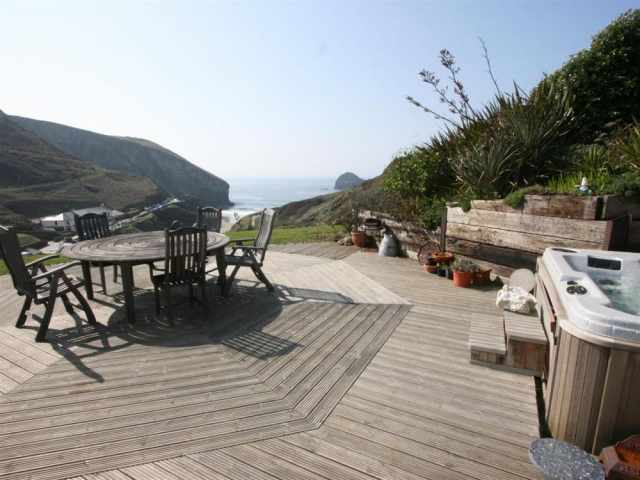 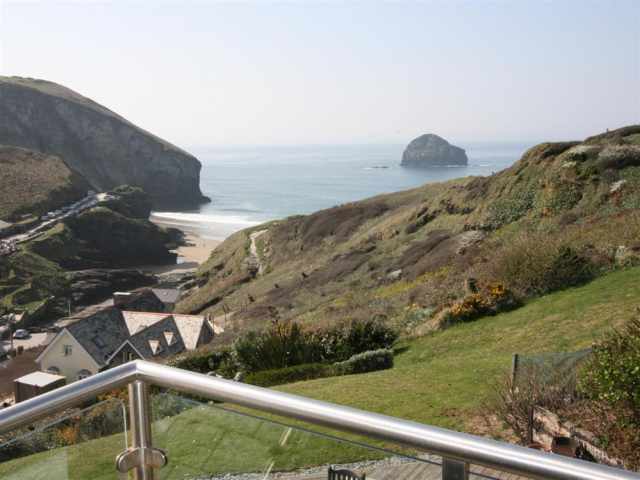 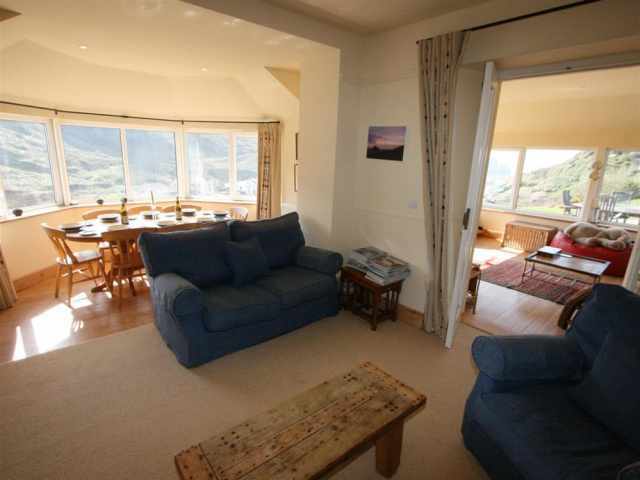 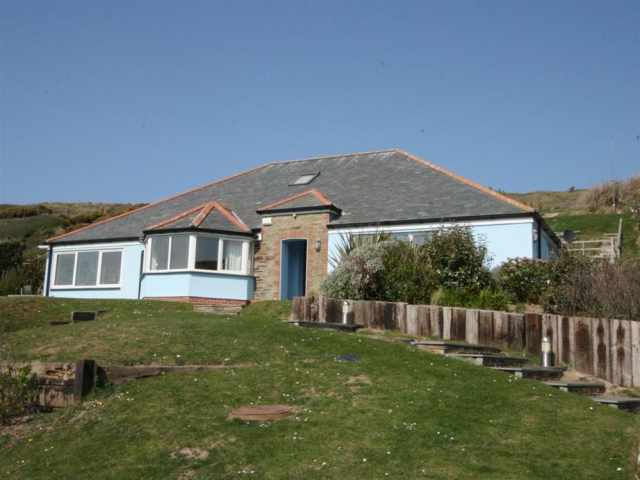 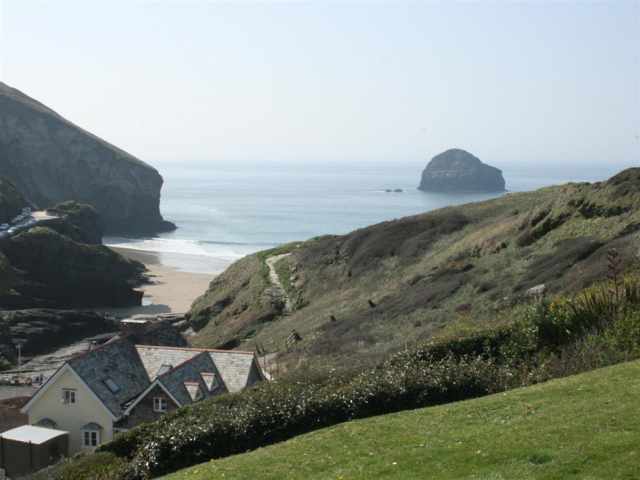 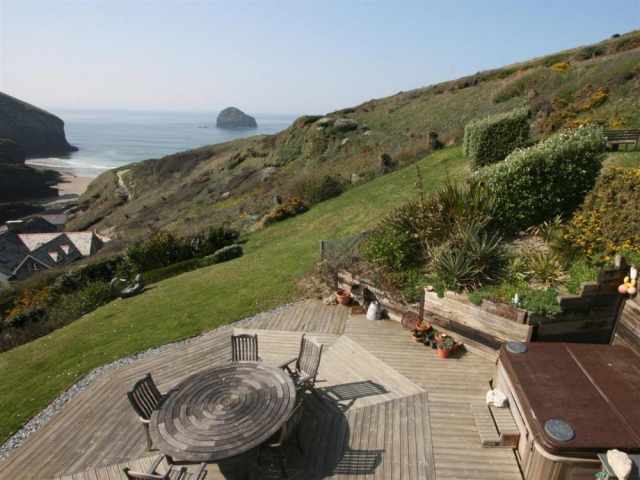 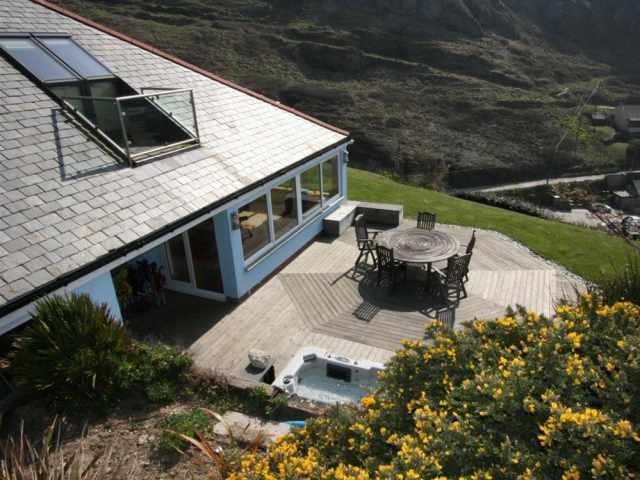 With stunning views of the sea and dramatic cliffs, this comfortable and spacious, detached family home is set in an elevated position just 500 yards above the beach at Trebarwith Strand on the North Coast. 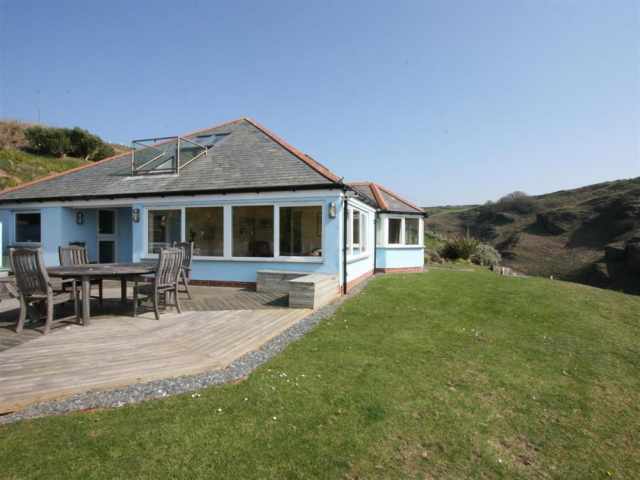 Approached by a steep private lane which leads to a parking area with ample space for 4 cars, a dozen steps lead up through the garden to the front door opening beneath a covered porch to the central hallway. 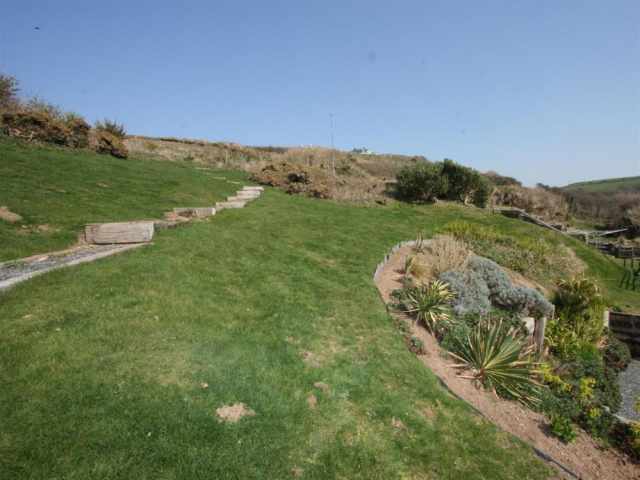 Nestling in a cliff top position, the extensive garden which surrounds the property has sloping lawns and a large decked sun terrace with hot tub; a wonderful place to admire the views over the rugged coastline however young children and pets should not be left unsupervised. 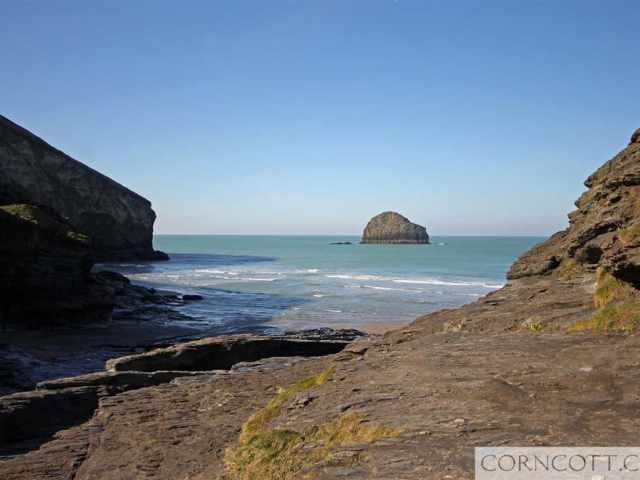 From the garden, there is direct access onto the South West Coast Path and also a fairly steep cliff path which provides a short cut to the lane leading down to the tidal beach and rock pools of Trebarwith Strand. 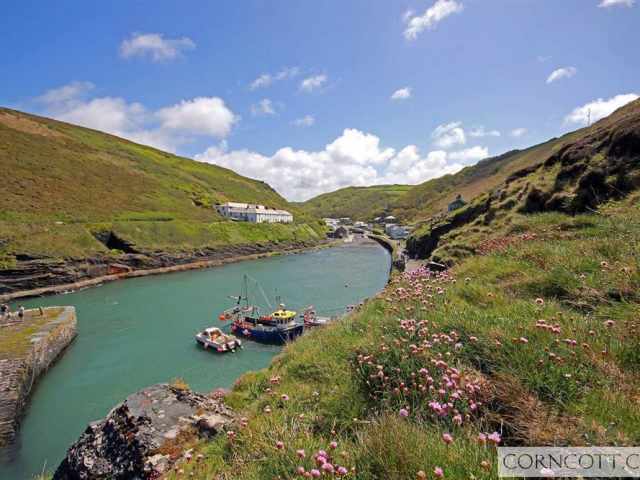 A seasonal cafe, surf shop and the Port William Inn, are all just a 2 minute walk downhill or a quarter of a mile by road and the traditional 18th century Mill House Innis half a mile away. 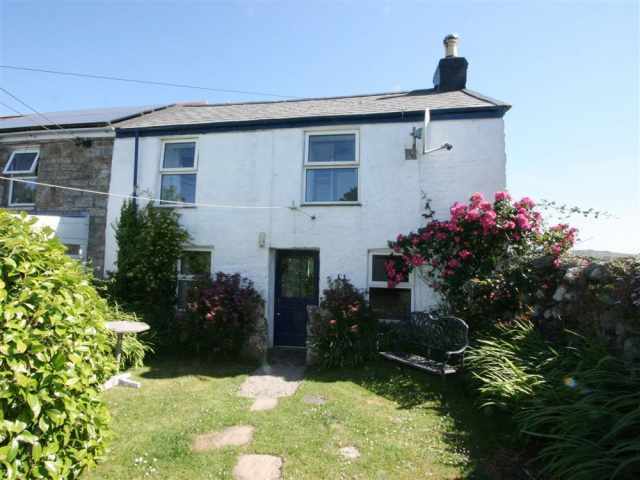 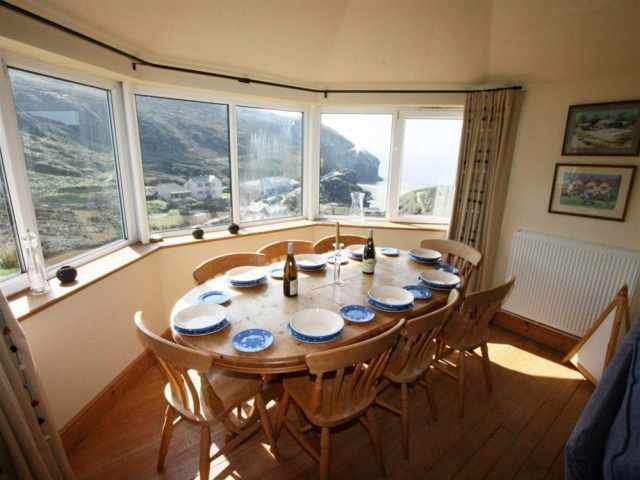 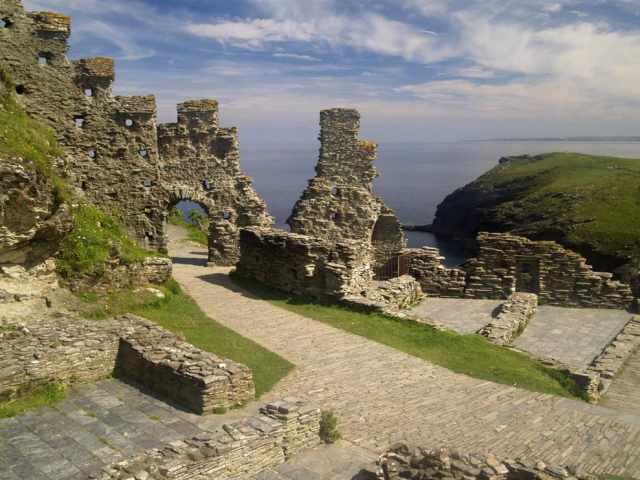 Tintagel, 2 miles, has a selection of shops, pubs and restaurants in addition to the famous ruins of Tintagel castle and Merlins sea cave, and there are also local amenities at Boscastle and Camelford, 5 miles respectively. 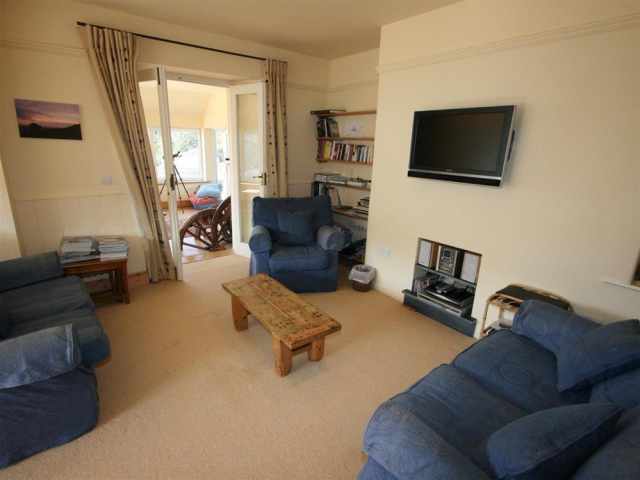 To the left is a delightful, light and airy family room with comfortable seating for 5 and one step down to a pine dining suite set in a large bay window with superb sea, beach and cliff views. 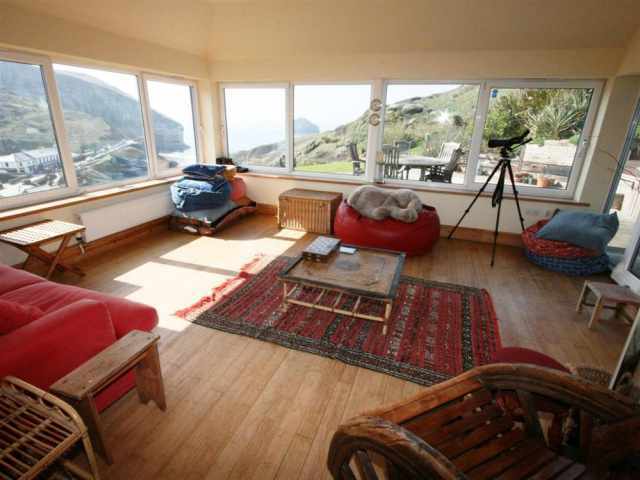 Beyond is a spacious sun lounge with additional casual seating providing a vantage point for watching the waves crashing upon the shore from picture windows and a door opening to the wooden sundeck and hot tub. 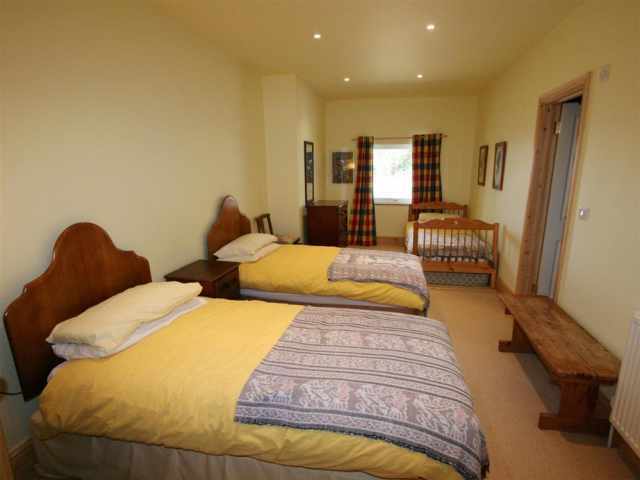 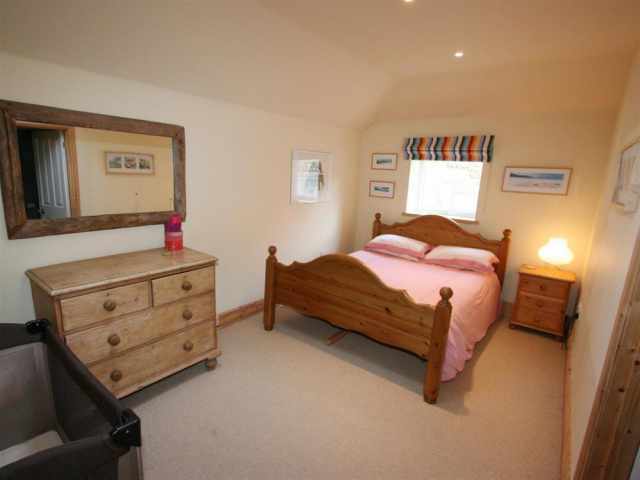 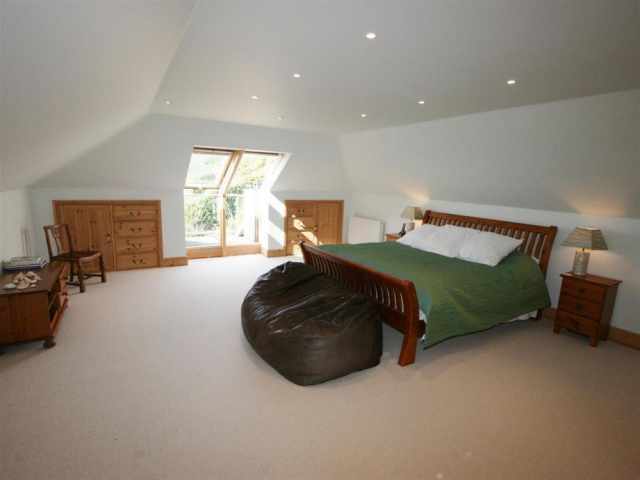 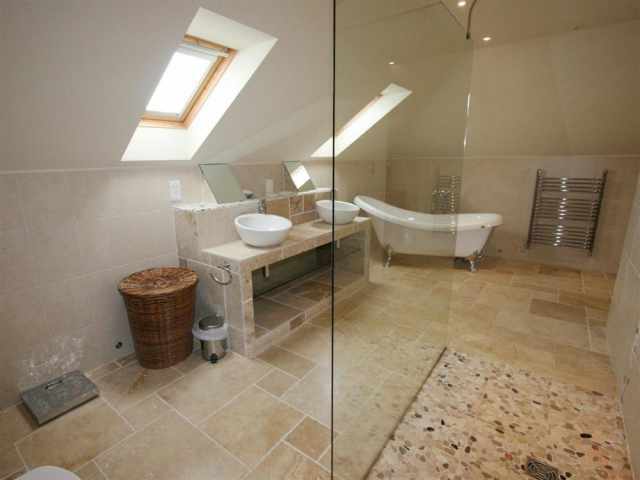 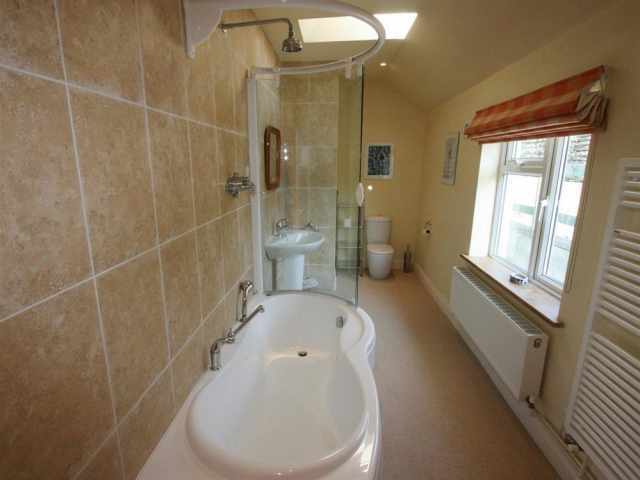 There are three bedrooms downstairs; a 5ft kingsize double with an en-suite bathroom W.C. with hand basin and shower over the bath, a further 5ft kingsize double with an en-suite wet room with shower W.C. and hand basin and a triple bedroom with three singles (1 x 3ft bed and 2 x 2ft 6in beds) and an en-suite shower room W.C. with hand basin (with optional access by day from the lobby). 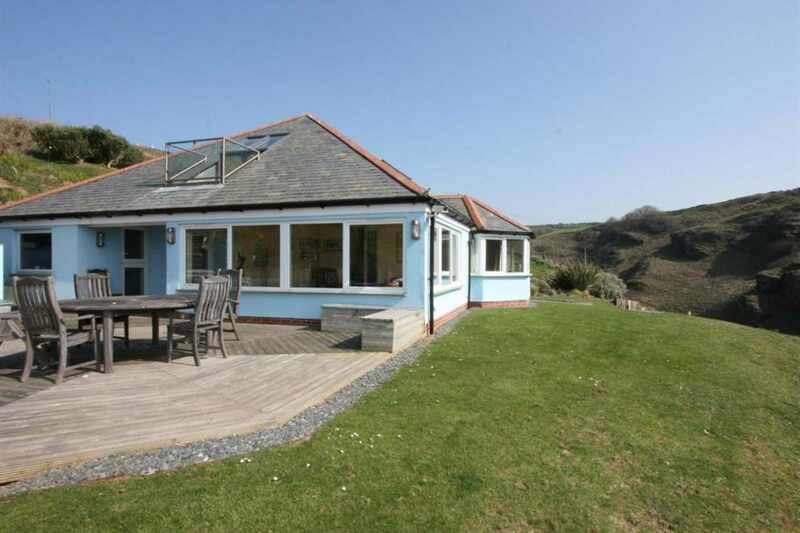 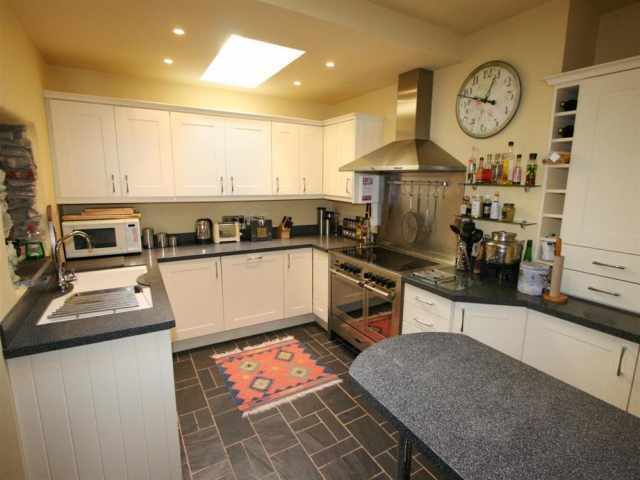 The remainder of the ground floor accommodation comprises of a fully fitted kitchen with an electric range cooker and small breakfast bar, a useful rear lobby giving access to a decked patio, ideal for watching the sunset over Gull rock, and a cloakroom W.C. with hand basin. 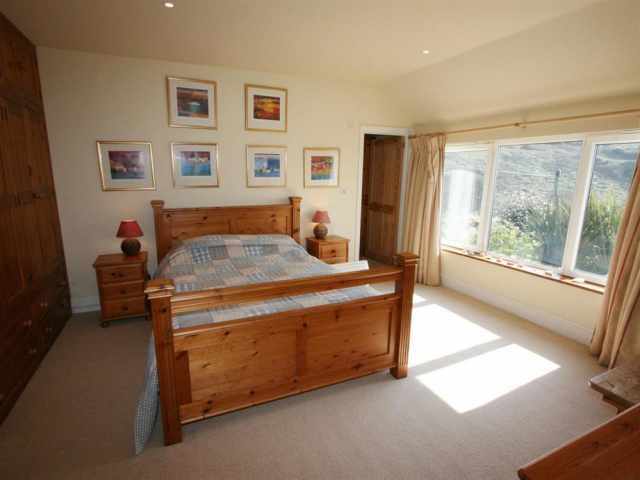 From the hallway, carpeted stairs lead up to the first floor and the spacious master bedroom with a 6ft superking double bed, large en-suite bathroom W.C. with hand basins, walk-in shower and claw foot bath with hand shower attachment and a balcony with a glass balustrade enjoying a bird's eye view of the glorious sea and coastline.